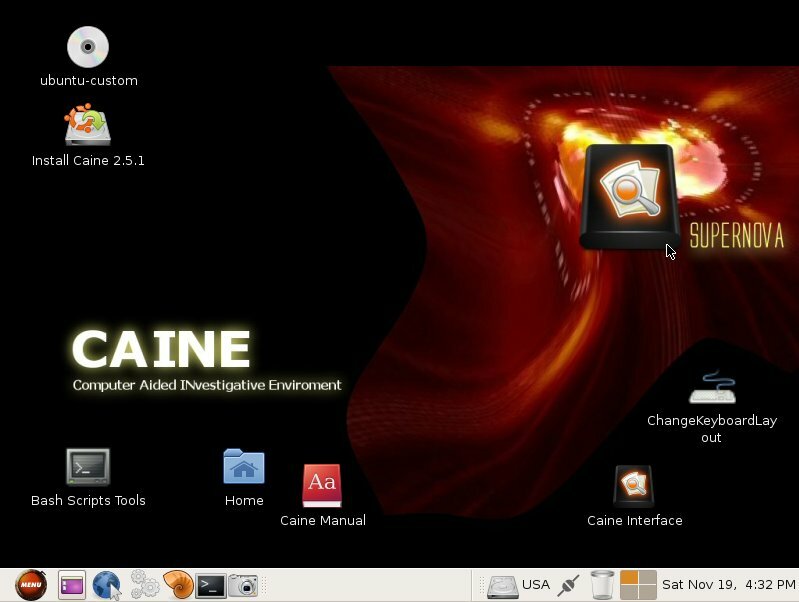 CAINE (Computer Aided INvestigative Environment) is an Italian GNU/Linux live distribution created as a project of Digital Forensics. It offers a complete forensic environment that is organized to integrate existing software tools as software modules and to provide a friendly graphical interface. CAINE represents fully the spirit of the Open Source philosophy, because the project is completely open, everyone could take the legacy of the previous developer or project manager. The distro is open source, the Windows side (Wintaylor) is open source and, the last but not the least, the distro is installable, so giving the opportunity to rebuild it in a new brand version, so giving a long life to this project.